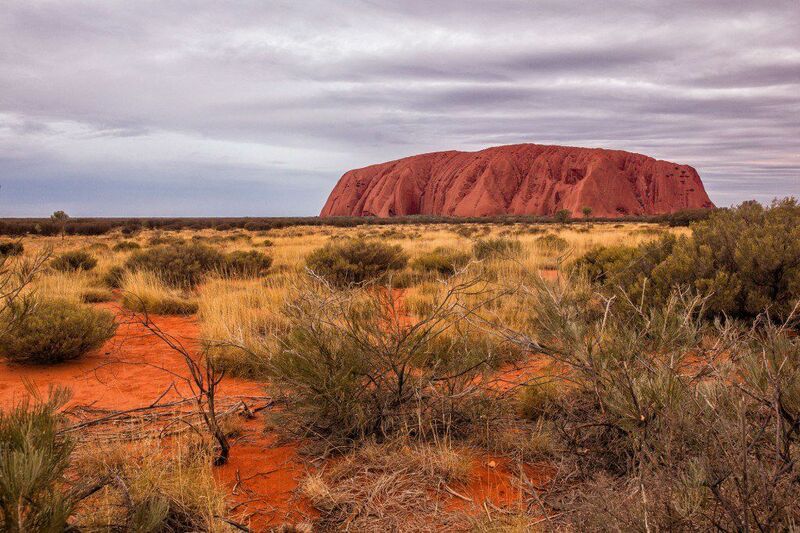 Many people who travel to Australia visit Uluru. How can you miss seeing Australia’s most popular natural attraction? But there is a lot more out here than just a large, red rock plunked down in the outback. It can be hard to justify flying all the way to the Red Centre, only to spend a day or two viewing Uluru, at least for us. 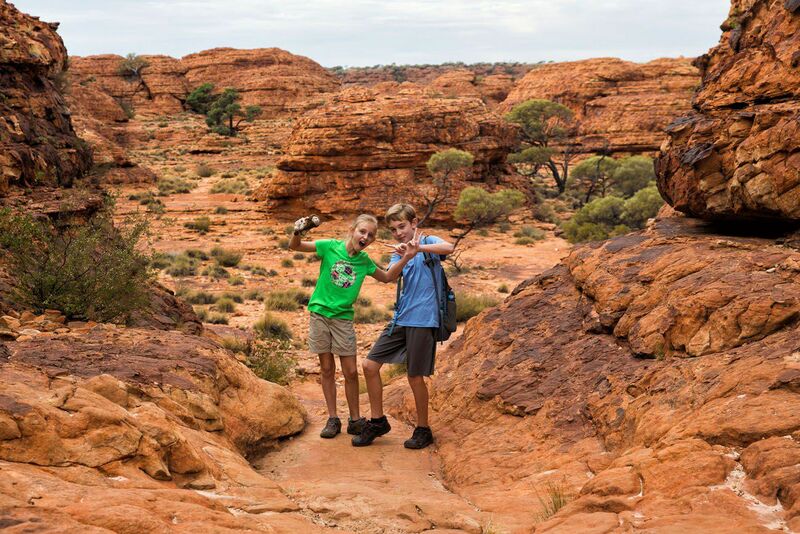 When we heard about Kings Canyon, with hiking trails around the rim of a canyon, our ears perked up, and we were eager to learn more. 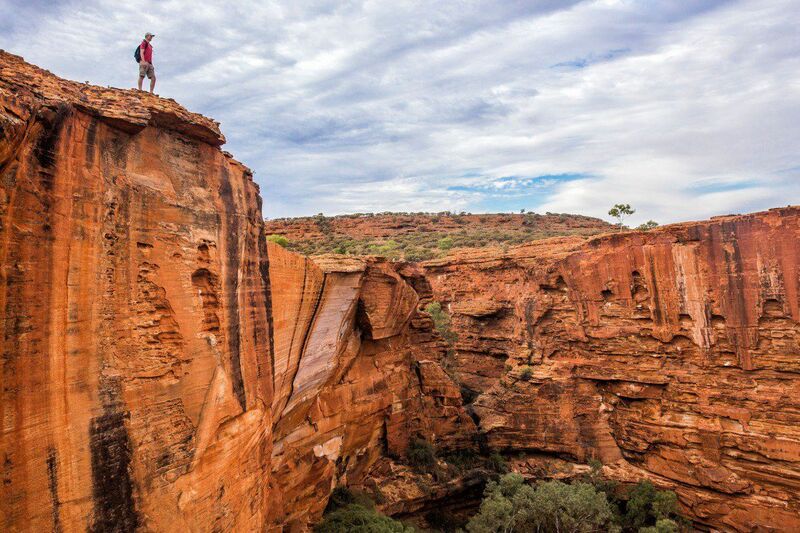 Kings Canyon, located in Watarrka National Park, is one of the area’s best spots for hiking. When we saw photos of canyons, cliff views, and colorful desert scenery, we were hooked, and added on the time necessary to make it here, during our visit to Uluru. 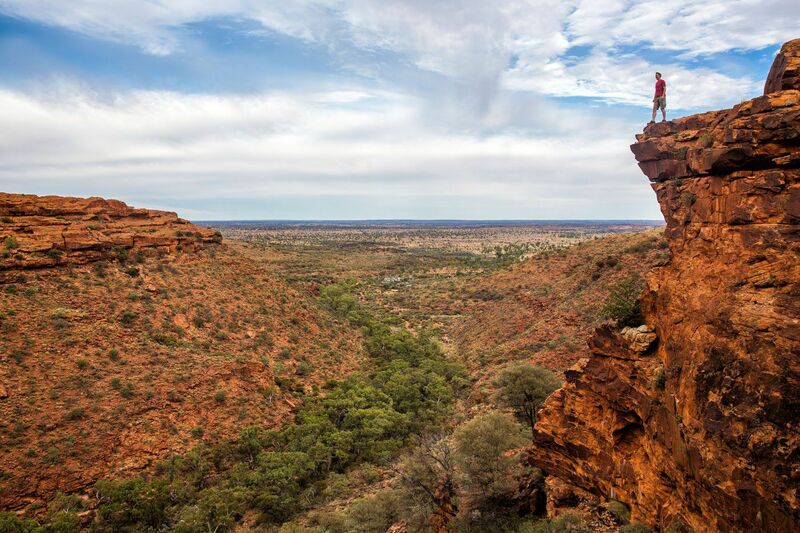 We slept at Kings Canyon Resort, located just 7 km away from Watarrka National Park, the home of Kings Canyon. Our day started with an amazing sunrise, with brilliant colors, lighting up both the sky and the natural red sand that covers everything out here. 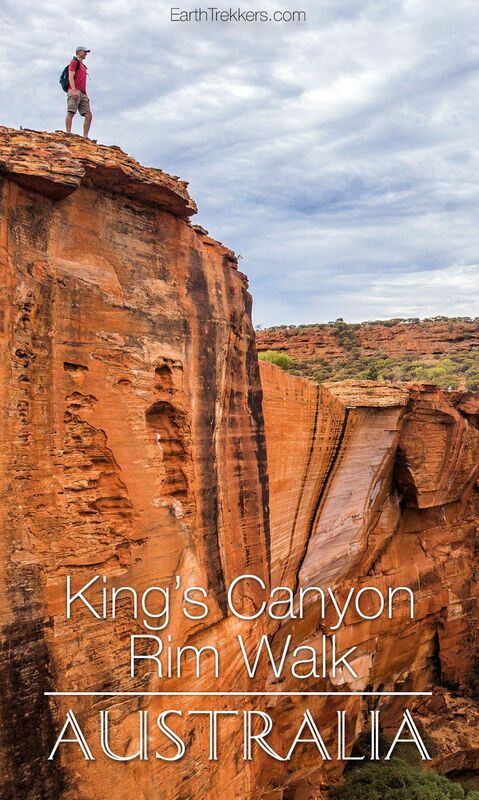 There are two walks to do in Kings Canyon. 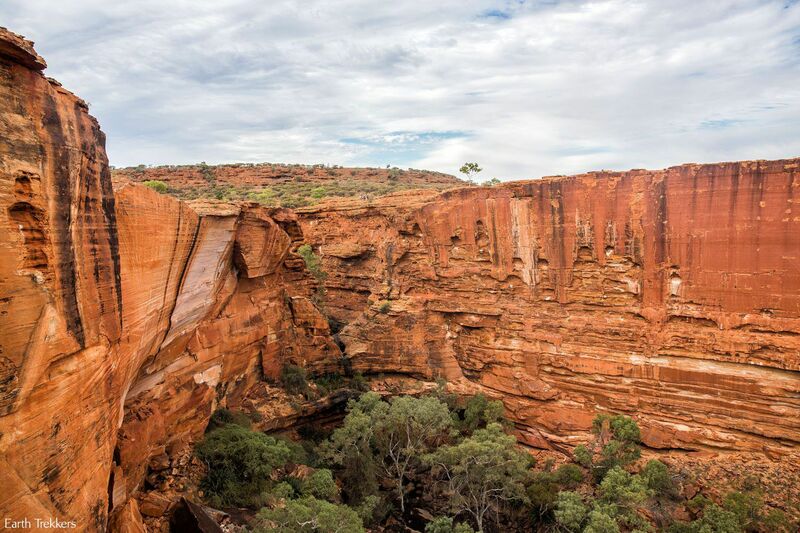 There is the easier 2 km hike through the canyon valley and the more challenging Rim Walk, a 6 km walk along the upper rim of Kings Canyon. Never ones to shy away from a challenge, we chose the Kings Canyon Rim Walk and were rewarded over and over again for our efforts. The hike begins with a 500 step climb to the top of the rim. This is the most strenuous part of the hike. 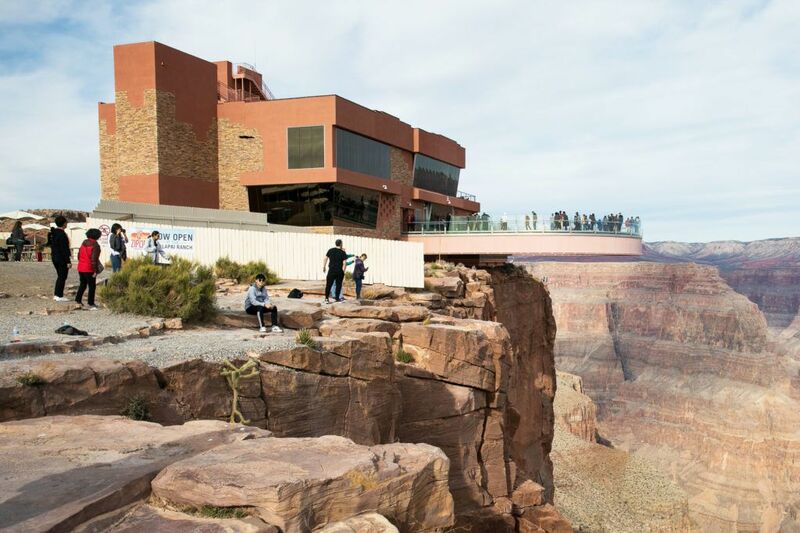 Once at the top, walkers are treated to scenic views and stunning canyon scenery. The landscape here is amazing. The palette of colors, with the reds and oranges of the rocks, the green leaves on the trees, the small patches of bright blue sky, and the white puffy clouds, was gorgeous. I loved it so much that I was taking a record number of photos. The walk around the rim is spectacular. If we flew all the way to the Red Centre of Australia just to see this, it would have been worth it. We had cloudy skies, foreshadowing for the rain that would come while we were in Uluru, but that cloud cover kept temperatures very pleasant for us today. 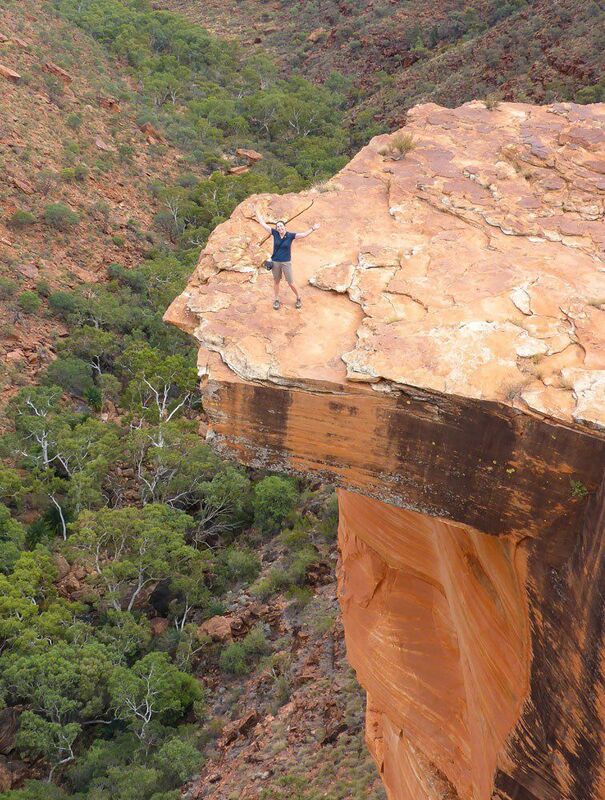 The vertical drops to the canyon below gave Tim plenty of opportunities for those precarious photos he loves. Other people were so amazed that they took photos of Tim as well. 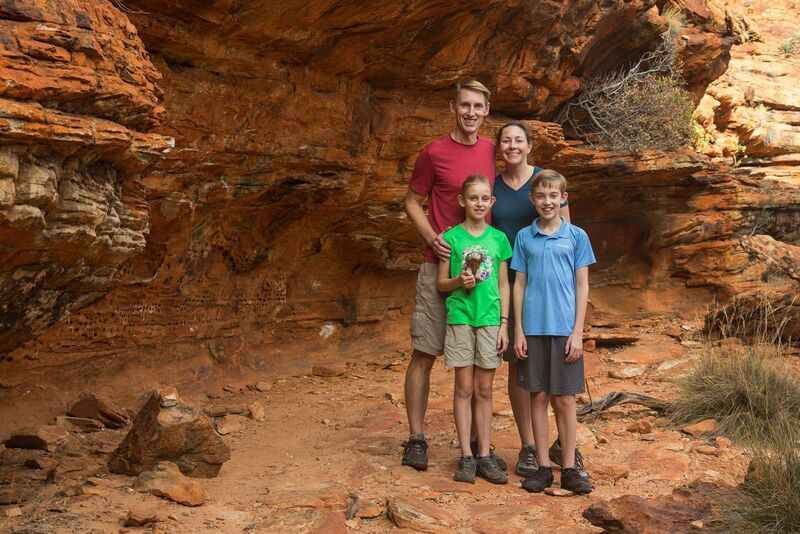 The walk around the Kings Canyon rim was one of the best we have done in awhile. It was short (taking us a little less than 3 hours), incredibly scenic, and just challenging enough to keep things fun. 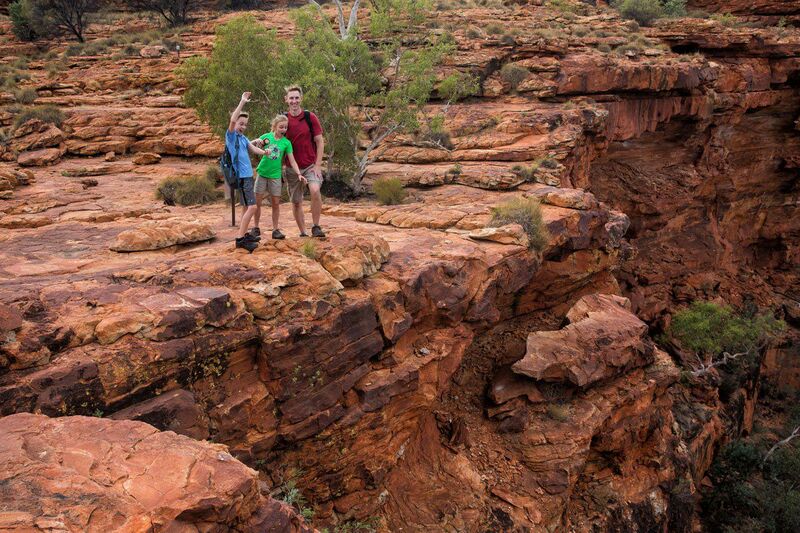 Walking along the red stone paths, getting a bird’s eye view of the outback, and the awesome views of the canyon walls were incredible. Tyler kept commenting on how much he liked this hike, something he doesn’t do much, so he really must have enjoyed it. So, is Kings Canyon worth it? Absolutely. Dare I say that we enjoyed this more than Uluru?! The beauty was so unexpected and we had such a great time that I highly recommend this walk to anyone who visits Uluru. You will not be disappointed! 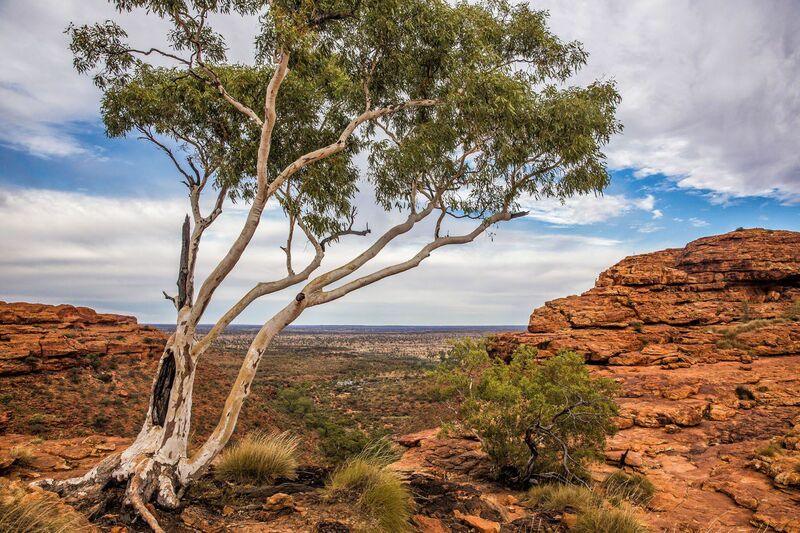 Watarrka National Park and Kings Canyon is 300 km from Uluru, almost four hours by car. 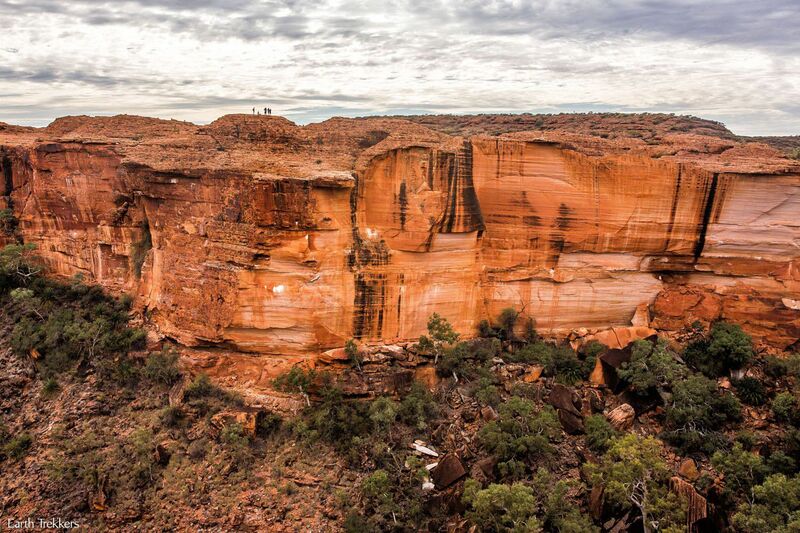 Visiting Kings Canyon can be done as a day trip from Uluru, but it will be a very long day. We flew into Yulara in the morning the drove out to Kings Canyon in the afternoon. The following day, we did the Rim Walk in the morning and then drove back to Uluru in the afternoon. 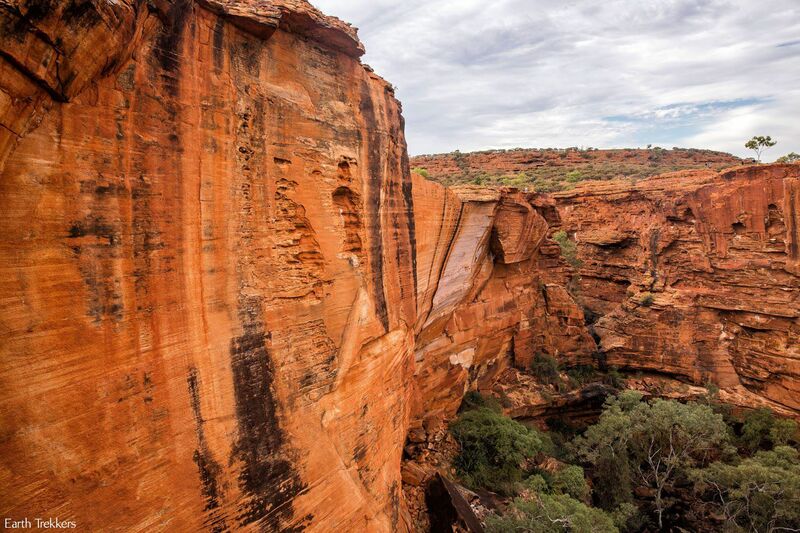 The Rim Walk is a 6 km walk along the Kings Canyon rim. The only strenuous section is that first climb up to the top of the rim. This is a hike that is perfect for almost all age groups and fitness levels. 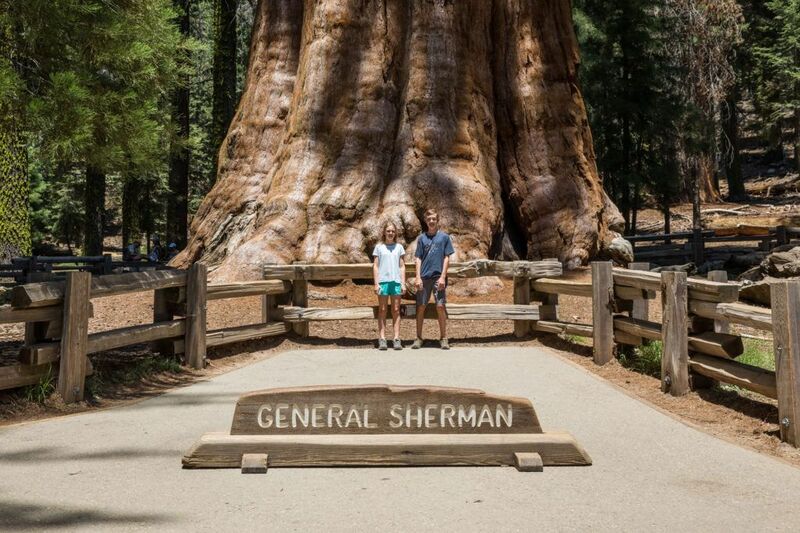 We saw people as young as 10 (our daughter) as well as hikers in their 70’s circling the rim. Budget between three and four hours for the hike, starting as early as possible. During the hot, summer months, temperatures can soar into the 40’s (Celsius). During this time, it is advisable to start even before dawn. This is another reason why it is better to sleep close to Kings Canyon, to allow yourself time to get an early start. On the hottest of days, the entrance of the trail closes at 9 am, so hikers must get an early enough start to beat the extreme midday heat. On the day we hiked (in late May, Australia’s autumn), we had very pleasant temperatures of 20 degrees Celsius. Bring one liter of water per hour that you plan on hiking, especially during those hotter months. We stayed at Kings Canyon Resort for one night (click here to see it in photos and get updated prices). There are different types of accommodations here depending on your budget. There is also a gas station, small convenience store, and restaurant. I took advantage of the short hiking trail that circles the resort, getting my sunrise photos from here as well as a little exercise. 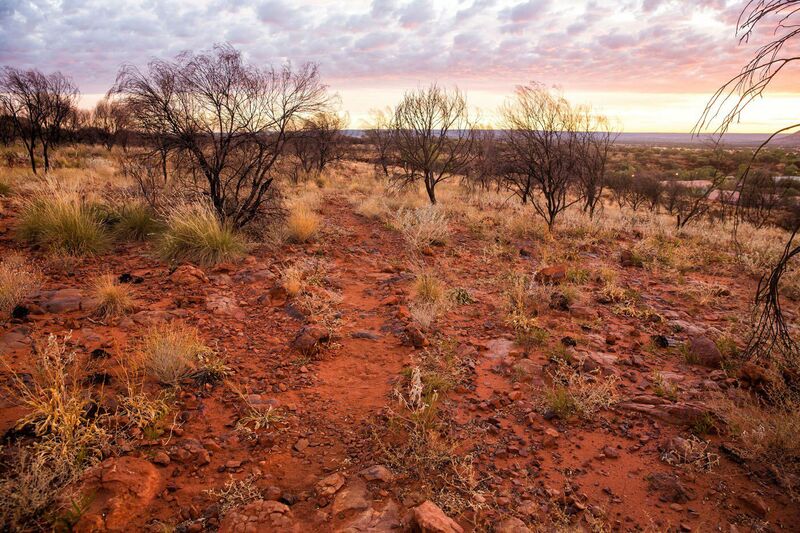 We could hear dingoes, wild Australian dogs, howling in the distance, but never saw any. Be prepared for the very annoying flies. Not just here, but also in Uluru, where the flies constantly swarm your face. Clouds of flies would settle on our shoulders and backpacks, buzzing in our faces, which quickly became very annoying. They do not bite or sting, but they are a constant annoyance. Somehow, Tyler and Kara were not plagued with them like Tim and I were; maybe they smell better than we do. Fly nets can be worn around your face if you really cannot stand them. 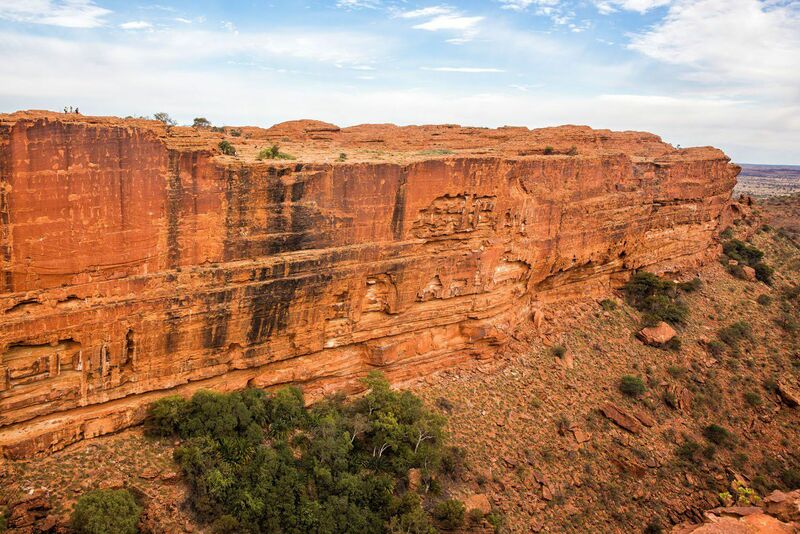 On day 1, fly into Yulara (Uluru), pick up a rental car, and drive out to Kings Canyon Resort, spending the night here. On day 2, hike Kings Canyon and then drive back to Yulara, staying at Ayers Rock Resort. 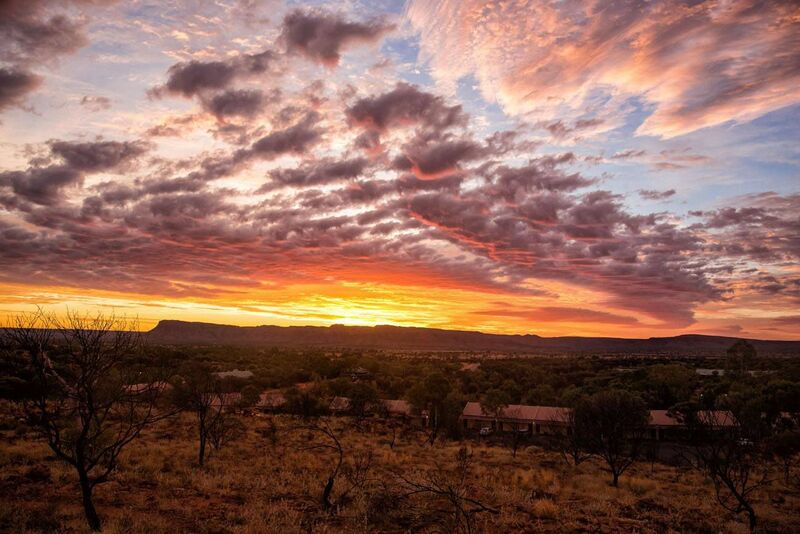 There should be enough time to watch the sun set over Uluru. Spend day 3 in Uluru. 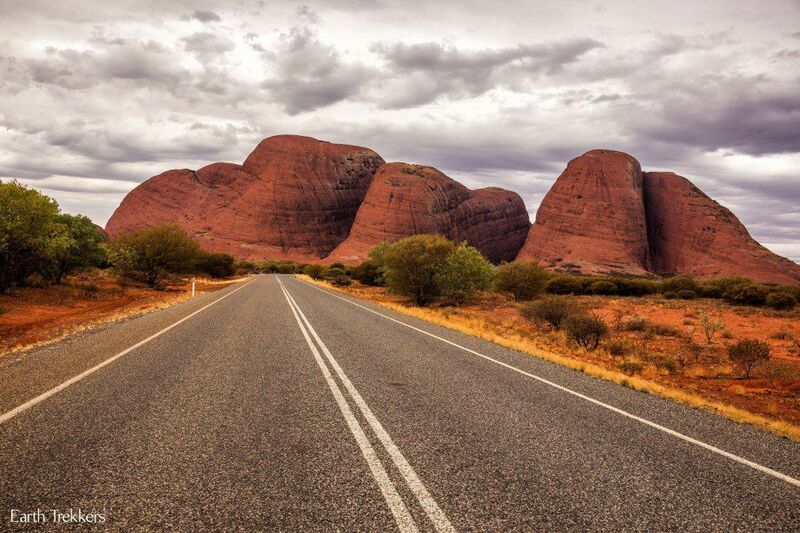 Start with sunrise views, followed by walking the perimeter of Uluru, visit the Uluru Cultural Center, and even hike Kata Tjuta. On day 4, fly to your next Australian destination. Of course, time can be added on at Uluru. 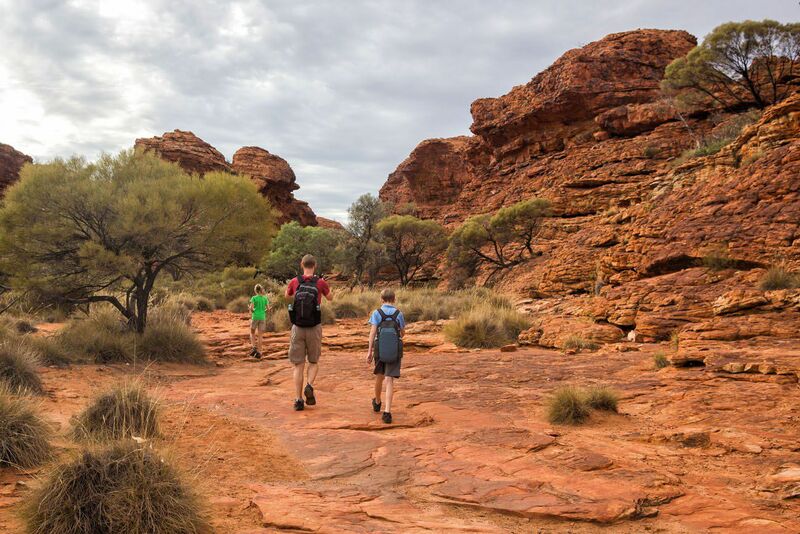 This gives you more time for Uluru and Kata Tjuta, as well as for other excursions, such as camel riding, helicopter tours, guided walks, and boomerang throwing. 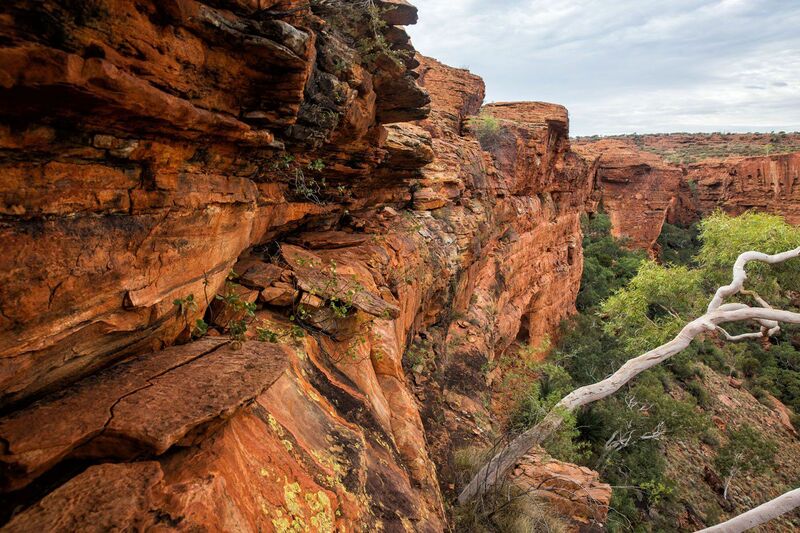 Another trip idea would be driving 6 hours (450 km) to Alice Springs, for hiking at the Macdonnell Ranges, which I hear are spectacular as well. I have been wondering if a book and/or lecture series will follow after your family returns to the US? It would be so wonderful to hear you and the family talk about your grand adventure. Had you ever thought of it? We have been considering the book option, either a photo book or some kind of memoir about our travels. Several other people have asked us about the lecture series but we do not know how to go about making this happen. Any idea how we do this? Well, I think you might start with Howard Community College (she says as she doesn’t even live in Howard County). I first heard of your grand adventure from the Baltimore Sun. I’m sure they would love to follow up with a story about your family’s return and reintegration into the mundane world. I would bet they have some ideas. They could certainly promote your presentation, whatever form it might take…I will think about it and ask some people who have done courses. I live in Harford County, MD. We have a community college with a vibrant community program. I would just love to see all of you and hear about your adventures in person (with a slide show). I’ve watched Kara and Tyler grow up! I think your first step might be to think how you might present a program covering your travels? Maybe a course? What you have been doing is so extraordinary it should be shared. I’ll keep thinking. Thanks for all of the info. We would definitely be interested in doing something like this. We want to keep the name Earth Trekkers going and start a travel business, and any publicity would help!